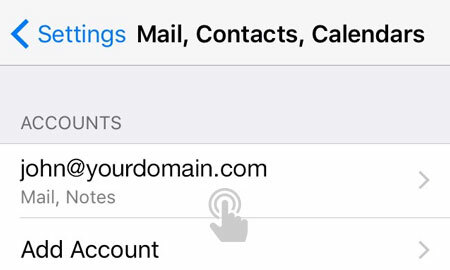 This is a quick step-by-step guide to setting up email on an iPhone, running iOS 11. 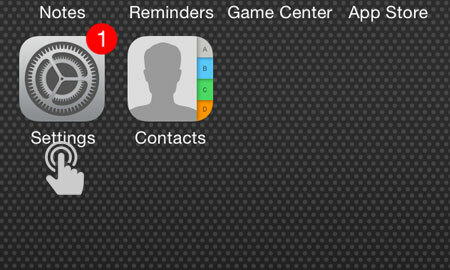 Firstly, you'll need to find the 'Settings' icon on your iPhone home screen. 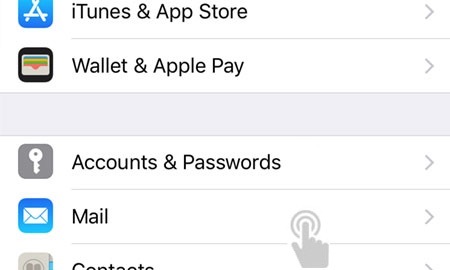 Once you have found the settings icon, scroll down and tap on the 'Accounts & Passwords' option. You will be presented with a page of email related options. Please click on the option labelled 'Add Account'. You will then be presented with a page of email providers. Scroll down to the bottom of this page and tap on the option labelled 'Other'. 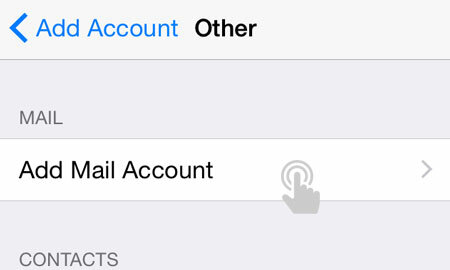 From another page of options, tap on the option labelled 'Add Mail Account'. Enter your mailbox details into the fields provided, making sure that the email address and password match the mailbox details from your 34SP.com account. When you have entered the relevant details, tap 'Next' to proceed to the next stage. 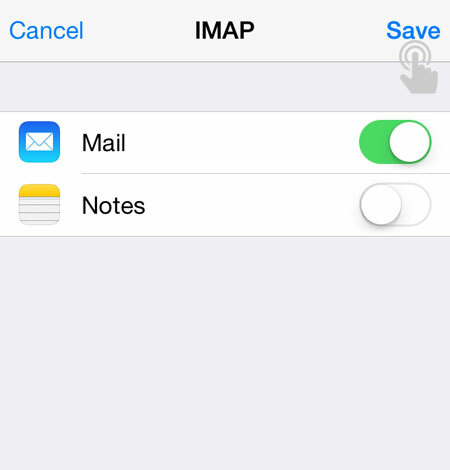 Then enter your incoming and outgoing mail settings. For incoming mail please enter the hostname as 'mail.34sp.com'. 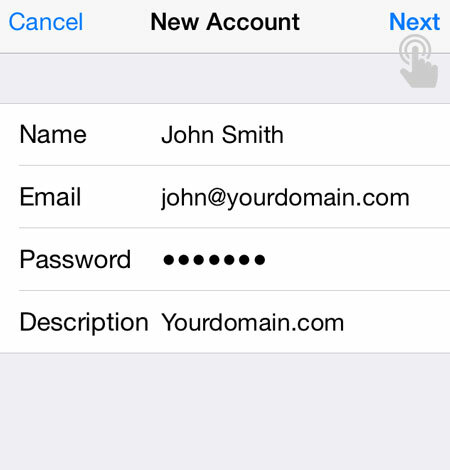 Enter your email address as the username, and the email address password (as filled in on the previous screen) in the password field. 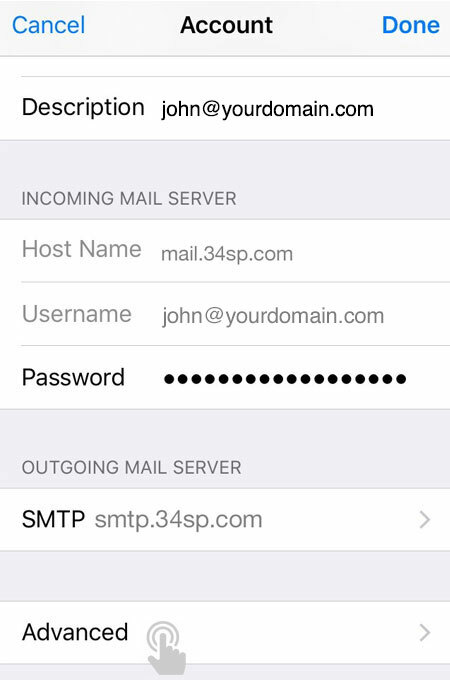 For outgoing mail please enter the hostname as 'smtp.34sp.com'. Enter your email address as the username, and the email address password (as filled in on the previous screen) in the password field. On the final step, turn off 'Notes' but keep 'Mail' on. 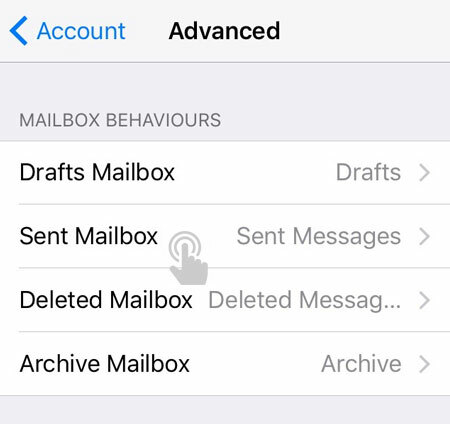 When you have made these changes, tap on 'Save' and your mail setup is complete. 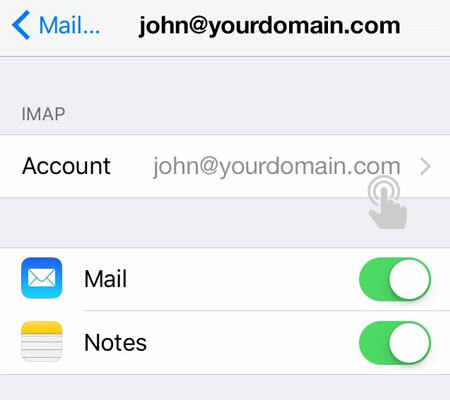 Your should now be able to send and receive email via your iPhone. Then locate the email account you wish to edit, and tap on it. 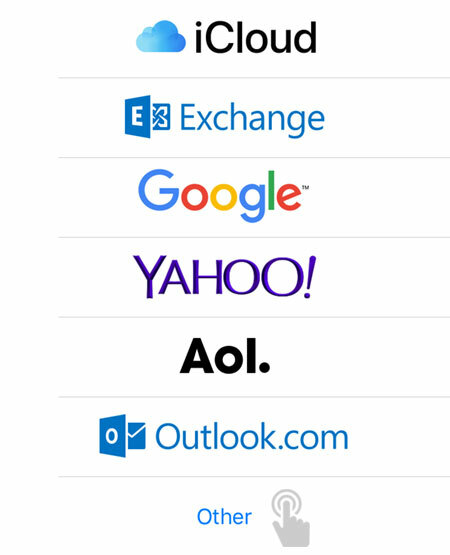 After choosing which email account you wish to edit, choose your mailbox. This will most likely be your email address. This will bring up a list of options for this mailbox. Simply scroll to the bottom of the page and tab on the 'Advanced' option. You will then be presented with a list of the folders on your mailbox. 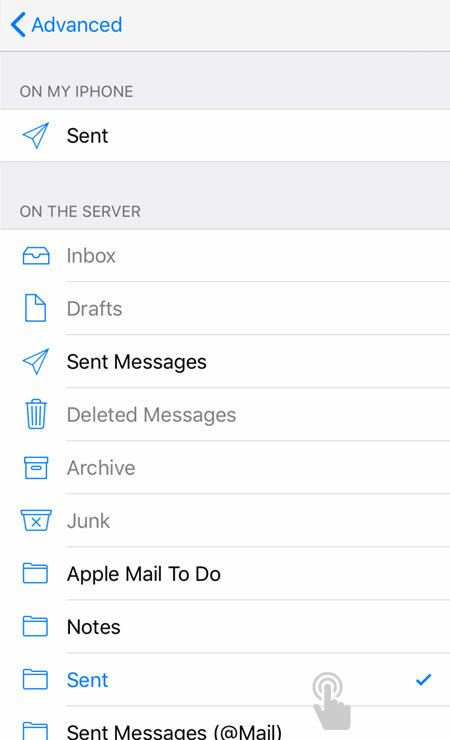 To save your sent mail on the server, scroll down to the section labelled 'On the Server' and choose the 'Sent' folder. 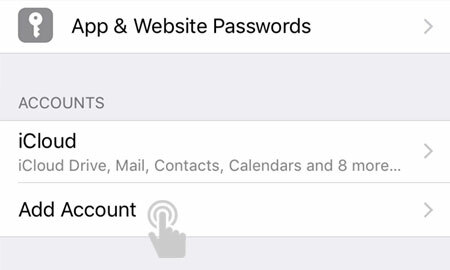 Once these steps have been completed, any mail sent in future from your iPhone will be saved in this directory. This will mean you can then access your sent mail via webmail or your preferred mail client.